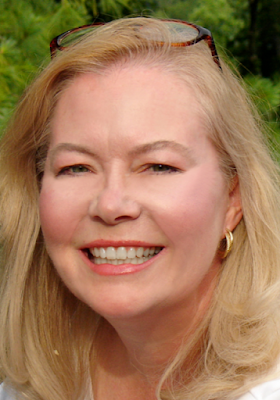 KRISTA DAVIS: I am not one of those writers who is in constant contact with my agent. Two series are enough to keep me busy writing. But, as many of you know, a couple of years ago, there was a great disturbance in the mystery force, and that launched me into many, many phone calls with my agent, Jessica Faust. So when the Caller ID showed Jessica calling, I assumed something else had developed in connection with the great disturbance. Instead, she said she had something she wanted to talk with me about but it was top secret. Double super top secret! Ohh! Now she had my attention. There’s nothing we mystery authors like more than a mystery. I had to know what it was. But she insisted that I promise I wouldn’t say a word. Not to anyone. It had to be juicy. A tidbit? She’s not the type to gossip. Yes, yes, yes! I promised. Only when I was sworn to secrecy did she tell me that Kensington editor Wendy McCurdy had an idea for a new series and she was looking for someone to write it. I was prepared to say no until Jessica told me that it was a coloring mystery. The protagonist would be an adult coloring book artist and, best of all, the covers would be colorable. It was nothing short of brilliant. Everyone seems to be coloring. What fun to combine a mystery with the adult coloring trend. Jessica and I brainstormed a little bit. She came up with the name of the bookstore, Color Me Read. Wendy and I brainstormed a little bit more. I wrote three chapters about Florrie Fox, who works in her grandfather’s bookstore by day and draws adult coloring books by night. And then I threw all three chapters out. Boom. In the trash. I changed the grandfather to a wealthy retired professor, and I was off and running on the first book, Color Me Murder. JENN: I am itching to color this cover!!! Brilliant! KRISTA: In case you’re wondering, it is not a work for hire. It’s a regular contract. Wendy and Jessica get all the credit for the concept of the Pen & Ink Mysteries. The cover of the second book, The Coloring Crook, just appeared on Amazon a couple of days ago. But Jenn’s questions about how it came about reminded me that we’re often looking for current themes. Whether it’s hooks that haven’t been done or plots that are fresh and original, we’re always on the lookout for new material. I find a lot of interesting ideas in newspapers. Seriously, criminals think of things that would never occur to me. I admit that I find it somewhat reassuring that I don’t think like a criminal. Television seems like another great place to see what’s trending. I confess that I’m addicted to The Curse of Oak Island. I know they haven’t found the Holy Grail because it would be all over the news. Still, I watch them dig waiting for something fabulous to appear. Seriously, who would ever have thought anyone would watch backhoes digging on TV? The ruby and cross they found this year were pretty amazing. But what could that mean for us as writers? That a lot of people are interested in history and mysterious hidden treasures? I suspect that Facebook and trending stories on social media might yield clues to what interests readers as well. It doesn’t always have to be as unlikely as finding historic treasure. Mixing mysteries and coloring in a series is an example of that. Wendy took two things people like and combined them in a very clever way. Two weeks after I signed the contract to write a third series, my Golden Retriever woke me with insistent barking just after four in the morning. It wasn’t like her at all. I assumed she was having a potty emergency and needed to go out. I had just let the dogs out of the door when the phone rang. You know those emergency alerts that are advertised by people who say they can’t get up? My mom’s emergency alert company was calling me. She had broken her wrist. Consequently, she wound up moving in with me. But that’s another story called Three Series and Mom. So, Reds, where do you find your best fresh ideas? 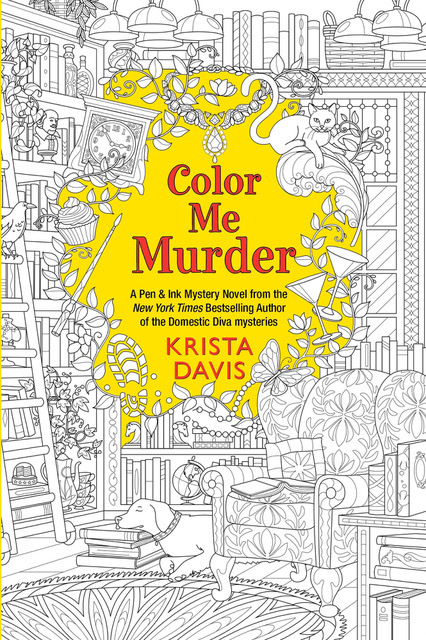 A little more about Krista: Color Me Murder is the first book in the Pen & Ink mystery series. The protagonist runs a bookstore by day and draws adult coloring books by night. To make it all the more fun, you can color the covers of the book! Krista’s longest running series is the Domestic Diva Mysteries. After a one year hiatus, the tenth book, The Diva Cooks Up a Storm will be out in May. But don’t think you have to be a diva or a fancy cook to enjoy these books about a group of friends in Old Town Alexandria, Virginia. If dogs and cats are your thing, you might enjoy Krista’s Paws & Claws Mysteries featuring Trixie the Jack Russell with a nose for trouble (or more precisely—dead people) and Twinkletoes, the long-haired calico cat. The animals don’t speak in Krista’s books, but they do know how to how to follow the scent of murder. Congratulations, Krista . . . the coloring mystery series really is an exciting concept. Perhaps coloring has become such a rage with adults because those of us who’ve spent years coloring with children and grandbabies know there’s a certain calmness about it. I’m looking forward to reading “Color Me Murder” and maybe even doing a little coloring on those covers . . . .
Joan, there have actually been studies about it. Amazingly, it lowers your blood pressure and clears your head! I used to color with the Hooligans after a rough day at the library - definitely therapeutic! Oh, I can't wait! What a great cover and concept. I am so glad someone thought to put mysteries together with coloring and then found you to do the writing. My TBR is teetering. Thanks, Kait. I hope you'll enjoy it! Welcome Krista! I happen to have that very book on my nightstand:). I would love to hear how in the world you're juggling all those books! And how do you keep your protagonists straight in your mind? Hi Lucy! Funny, I was just thinking about that. Each of the protagonists is so different that I look forward to switching gears and going somewhere else. But writing three series is a lot. I am not a swift writer. Wish I were. It is a lot. We should coloring therapy sessions to get through it, you know, if we had time! Krista is one of my all-time favorites! :) Loved this interview, and can't wait to start reading this series! Go Hollins! Thanks, you're being way too kind. Maybe you can color the cover while your daughter colors? These days, I don't read too many cozy mysteries. (So many books, so little time). That said, this one is such a clever idea and with that beautiful cover, I simply must check it out. Even the jacket copy made me smile (sketchy, colorful characters, not so black/white, etc). Well done all! Thank you, Kristopher. There have been so many discussions about cozies vs. traditional mysteries. I think this one may straddle the line in some ways. I hope you'll like it! What a brilliant idea! It does seem as if everyone is coloring these days - beautiful coloring books have become one of my go-to gifts. Combined with a mystery... Dang, I wish I had thought of it myself. I know what you mean, Julia! We're all kicking ourselves. It was brilliant of Wendy to come up with it. I'm one of the world's worst colorers... my 4-year old granddaughter is excellent at it. Embroidery, which is easier to stay within the lines, is more up my alley. It does lend itself to a perfectly splendid cover. Cngrats, Krista! You're on a roll, that's for sure!! Thank, Hallie. I used to love embroidery in the days before I was writing all the time. I think that might be the one craft I haven’t tried. Although, I love cross-stitch. Hmm. Congrats on the new series. What a timely idea. Just wondering, is Jessica in Schenectady? Harlan Ellison used to claim that he got all his ideas from an "idea service" in Schenectady. LOL! That sounds like Jessica, but she claims to be in New Jersey. If you haven't heard, she has now added Bookends, Jr. for children's books! Even with all she does, she loves to brainstorm. But now I want to find that idea service in Schenectady! Krista, you are my complete idol! Yay. (I hate coloring, though, just saying, I am coloring impaired, and even as a kid, couldn't do it. And then, there was the whole outline-or-not controversy. Just like today! )- ) But your covers are brilliant, colored-in or not, and the idea is brilliant. Now I'm wondering if you could somehow include an extra clue, or benefit of some kind, to those who color the cover. And do you hand out little crayon packs as gifts? Hank, I was stunned when I went in search of coloring gifts. There are special coloring pencils that run over $100 for a pack. They make special ones for shading and gel pens as well. It's a big business! I have given away some 72 pencil packs, but I had to ask around to know what was popular. I love the cover, Krista. Have any of your readers shared finished colored covers with you? I haven't seen many covers yet. But the few that I have seen have been spectacular! We wanted to have a contest but ran into legal issues. We're currently trying to figure out what we're going to do. Krista, what a clever idea, and the cover is really stunning. So different. I love Ingrid's question about readers sharing finished covers with you. What sort of research did you have to do to learn about coloring book artists and the coloring book business? Deborah, I was quite worried that I was out of my zone of comfort because I am not an artist. I did some research on how artists think. One of the most telling things was a comment someone left on Facebook. She said when she was a child, she thought everyone saw blank pages as filled in. Happily, I do doodle. While I can't doodle a recognizable face, I can dream of doing it! When I saw this series was starting, I couldn't believe that someone hadn't started writing it already. And this debut is so much fun, too. Thanks, Mark! When Jessica told me about it, I couldn't believe no one had thought of it before. We’re all very jealous but I am delighted that it’s you writing the series! Thanks, Jenn. That's nice to hear! templarlady - You're the winner of Linda Wiken's Marinating in Murder - send me your mailing address jennmck(at)yahoo(dot)com and I'll forward it to Linda! Congrats! Thank you. I think the artist did an amazing job! Krista, it's always interesting to me when someone comes up with an idea that once put out there, people do the smack-your-head gesture wondering why no one had started it before. What a perfect, brilliant blend to combine the coloring mania with mysteries. And, there's a bookstore, too. With all of those fascinating elements, how could you go wrong? Your new series has given me an idea for a blog post that includes your series. Good luck with this clever series. I know I'll be taking a look at it. Oh, I love that! I'm looking forward to your blog post. The bookstore just sort of fell in place and seemed like a good full time job for the protagonist. Serendipity or just paying attention - hard to say what generates the good ideas but I'm always happy when I see new inventive story lines. Congrats on the new series, Krista! I wonder how many people will have to color the cover BEFORE reading, as opposed to after? Hi Mary! I know at least one person did! Or at the same time? Hmm. LOL! Maybe the covers of the mystery could be made of chocolate and wrapped up to be eaten while reading? You thought of everything! Hopped over to view kindle ......and yes....Digital version contains link for downloadable color page!